Murray is one of the better D.H.’s and first baseman to play the game and he had a two year stint donning the Orange & Blue after spending several seasons with the Baltimore Orioles. Murray spent 12 seasons in Baltimore before defecting to the Los Angeles Dodgers for three seasons. Murray signed and spent his age 36 and age 37 seasons with the Mets while manning down first base. In 1992, Murray played in 156 games, totaling 551 at bats in 625 plate appearances. In his first season with the Orange and Blue, Murray smoked 37 two baggers to go along with his 16 home runs, driving in 93. His slash line that season was .261/ .336/ .423/ .759 during that ’92 season. In 1993, at the tender age of 37, Murray hit .285/ .325/ .467/ .792 with 28 doubles and 27 home runs to go with 100 R.B.I.’s. in 610 at bats for the Mets, that season. 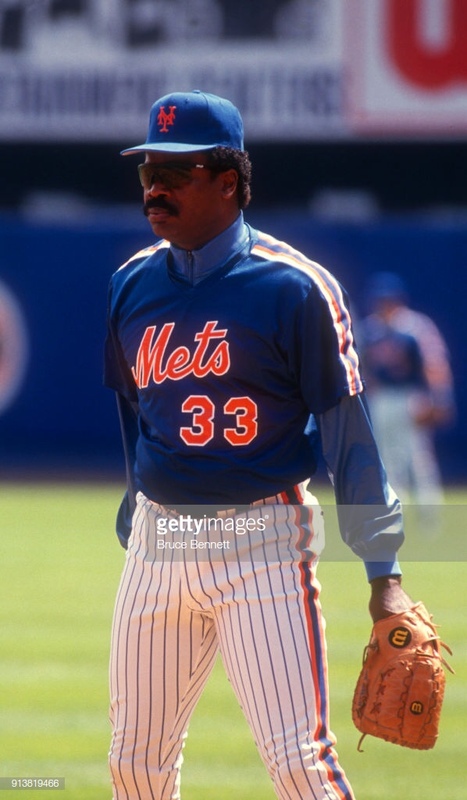 Murray suited up 310 times as a New York Met and accumulated 1161 at-bats, 141 runs scored, 318 hits, 65 doubles, 3 triples, 43 home runs, 193 R.B.I.’s, 6 stolen bases, 106 base on balls, and a .274/ .330/ .446/ .776 slash line with a 113 OPS+. Murray was never been known for his fancy glove work at first, surely, that’s the reason he’s been a D.H. for the majority of his career, but Murray was also more than a power hitter. The D.H. has batted .300 or better, at least seven seasons throughout his career and has two seasons with an OBP over .400, pretty amazing. Murray has 504 home runs over his 21 years in the MLB, he also has 1917 R.B.I.’s and even a shocking 110 stolen bases. He’s a .287/ .359/ .476/ .836 hitter with a 68.7 career WAR over his 21 years in the league.